NEW JERSEY -- There's a warning for local football fans. There is a scam going around that offers of great tickets and open bars at Giants and Jets games. They are expensive tickets, but at bargain prices. Except there was no bargain and there were no tickets. The unsuspecting buyers were ripped off. Chelsea Hults is a huge giant giants fan and the tickets came with a suite and field access. "I was so excited about it," Hults said. But Mike Daniello thought something was up. "I should have trusted my instincts," Daniello said. He didn't. When an acquaintance named Alicia offered to sell them tickets, awesome tickets for Jets and Giants games, they went for it. "We were promised these lavish tickets, suites, on field access, VIP parking, I mean it was too good to be true, open buffet, open bar," Daniello said. "We were going back and forth for about an hour, 'should we do it?' 'You know let's do it, since a good friend of ours is going to do it too, it's going to be fun, it will be fine.' And it wasn't fine because we definitely never got the tickets," Hults said. Alicia -- who apparently has several aliases -- stopped answering her phone and disappeared from social media. Police have identified at least 10 victims who spent thousands of dollars for tickets they never got. "She sold these packages at relatively low prices, where people said we'll take a bunch of tickets, sometimes they spent $1,600 for a package of tickets. The money was paid, the tickets weren't delivered," said Det. Nevin Mattessich, Franklin Police Department. "It's almost a sense of being used and it's not a good feeling in your gut," Daniello said. Alicia, it seems, has been quite industrious on the internet, and the ticket scam isn't the only crime for which she is wanted. 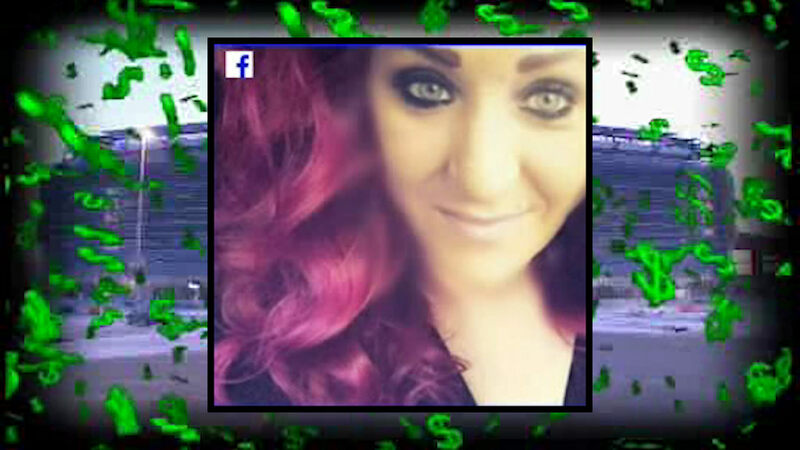 Police say she started a GoFundMe page recently for a friend of hers whose child died. "The family didn't know about it and all of the money donated never made it to the family," Mattessich said. A warrant has been issued for Palozzi's arrest.